I want a Loft Conversion – Where do I begin? Most of us will know if we have a suitable loft space and what we want from your loft conversion but where do we begin? I would strongly suggest you begin by hiring a loft specialist company. If you are unsure about who to call, why not have a drive around your area looking for properties having work done? Talk to the property owners, ask them what they like and dislike about the company doing their conversion – Did they begin on time? Did they help dealing with the council? Visit at least one loft done by the company you are thinking of appointing to do your work. Hiring an specialist: The best thing about hiring an specialist loft company is that they will have project managers as well as labourers who are used to dealing with loft conversions. An experienced, reputable loft specialist will take you through the entire building process seamlessly from planning permission, designing the space through to the finishing details. Do it yourself: If you are feeling brave and want to handle the project yourself, of course you could engage a good architect (preferably one who is local and have a good relationship with the council’s planning permission department). Hiring an architect is important when dealing with potentially challenging spaces such as lofts they will work with your ideas to provide you with maximum use of the space. With your plans in hand and while waiting approval you can then start looking to appoint your own builders. There is as much demand for loft conversions as there are builders offering to do it, so it’s important that you get at least 3 quotes, ask to see examples of their work, agree a schedule for the job and ALWAYS check that your chosen company/builder is insured! Whether you decide to work with an independent architect or an specialist loft company, the initial visit is usually free and you might even get a very general idea of cost. A longer, more detailed survey will be conducted once you have appointed your chosen professional. I’m having my loft converted now and have chosen the safer option of a loft specialist company. What ever option you choose, let me know what your final decision is! 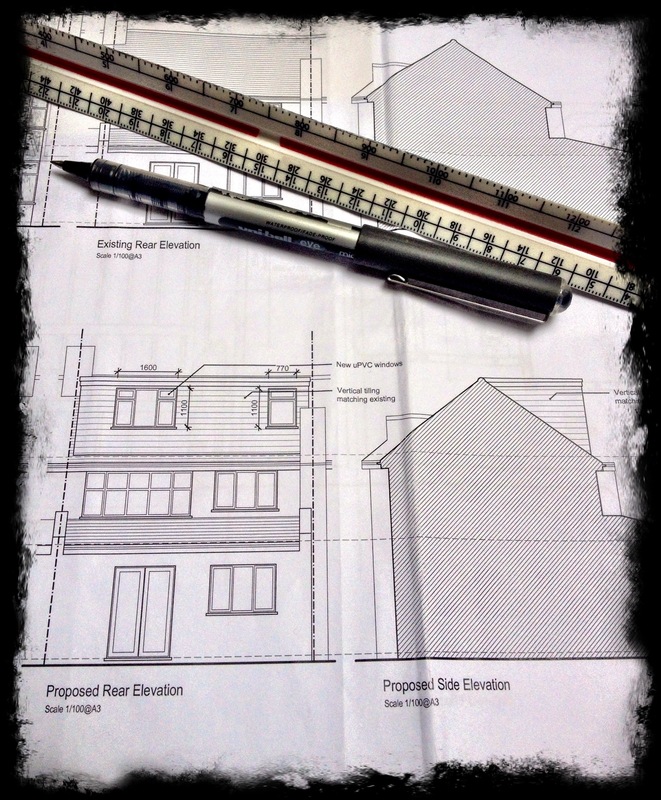 Meanwhile, stay tuned, I will be talking about how to assess your architect’s drawings in my next post.